Image courtesy of iGEM.org. Used with permission. The threads of spider webs are called "silk." Question: If you have a thread of spider silk and a thread of steel, and they are equally thick, which one is stronger? Answer: The spider silk is stronger than the steel. Many spiders make a new web every day and eat their old web. They leave just one thread, to use as the beginning of their new web. Eating the protein in the webs gives the spiders energy to make new webs. Question: Why don't spiders stick to their own webs? Answer: Spiders can make their threads sticky or non-sticky. They can even make parts of one thread sticky and parts non-sticky. Spiders walk carefully, and they stay off the sticky spots. Webs contain vitamin K, which helps stop bleeding and promote healing. The ancient Greeks and Romans used spider webs as bandages (without knowing about vitamin K!). Today, some people still put webs on wounds - but only clean webs with no bugs or dirt in them. 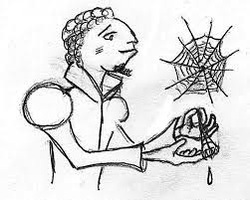 Hundreds of years ago, some people in Austria stretched layers of spider webs on top of each other like mats. Artists painted pictures on the mats. 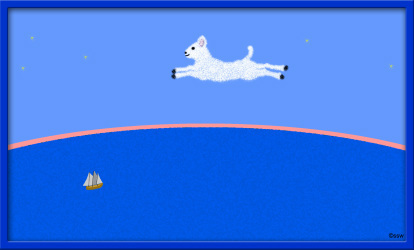 These were called "cobweb paintings." Some people around the world have used spider silk as fishing lines, nets, and hats. 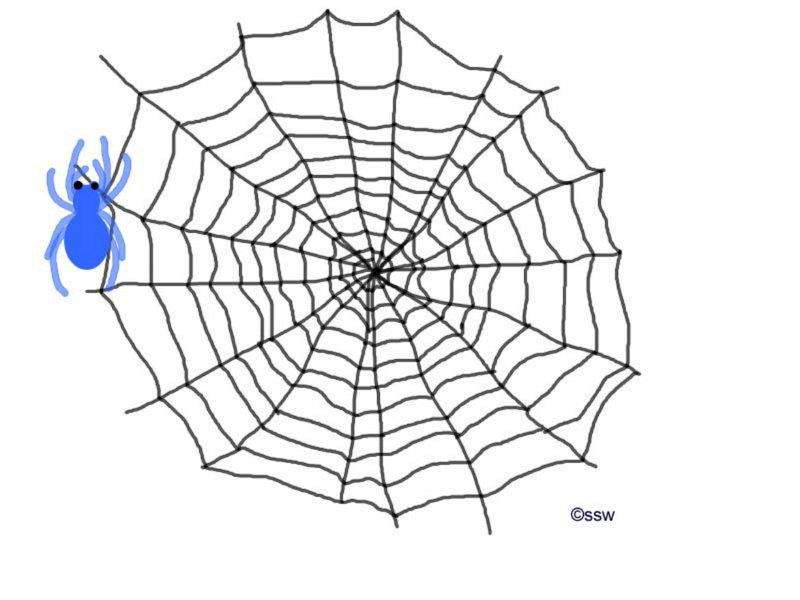 Here are drawings of two identical spider webs. Each web shows a spider waiting to catch its dinner. One spider waits in the middle of the web. The other spider waits at the edge of the web. Question: Which spider is more likely to become somebody ELSE'S dinner? 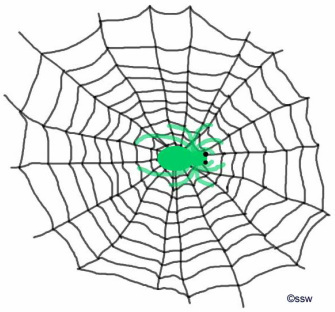 Answer: The spider in the middle of the web can be spotted more easily by birds and wasps. So that spider may be dinner for someone else!